HILARY KRAMER is a former hedge fund manager and investment banker who was so successful, she retired from Wall Street at age 40. While there, however, she earned the nickname “Millionaire Maker” for her profitable advice. 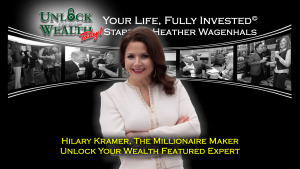 For nearly a decade, Hilary’s used that same expertise to help individual investors make money through her services GameChangers, Value Authority, High Octane Trader, and Turbo Trader.